ITAG Business Solutions Ltd., Kolkata is organised one day workshop on Biosimilar Patenting in collaboration with its knowledge partner Sughrue Mion PLLC, USA and Institute of International Trade Trade, Kolkata in Hyderabad and Bangalore (a day each) on 22nd and 24th July, 2010 respectively. 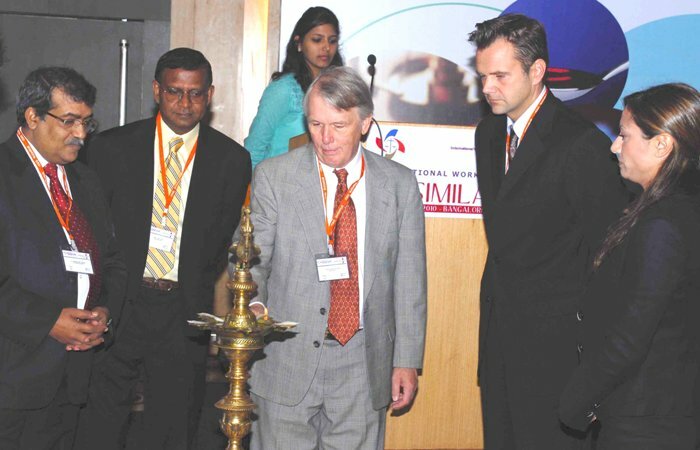 This event was a platform for emerging opportunities for Biosimilars in the Global Market. Biosimilars are of tremendous interest globally. It has been predicted that in the near future biologic therapies will amount to more than 50% of newly approved medicines. In the same period, a substantial number of patent protected biotechnology-based therapies will come off patent, enabling the marketing of biosimilar or follow on biologic products. Even though opportunities abound, biosimilar producers and patients face risks, requiring producers to develop innovative legal strategies and to carefully assess research and development and production processes to guarantee safety and efficacy of biosimilar products to establish an efficient and safe strategy for biosimilar approval. This workshop explored and analyzed the new US Biosimilar Pathway including comparative analysis of the US Pathway and pathways in other countries, including the Indian perspective in this regard.